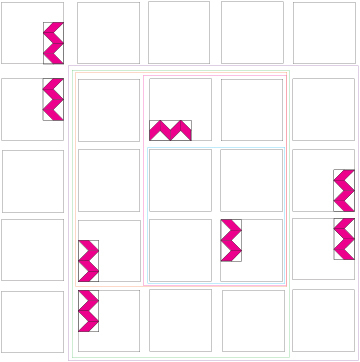 I have created a random-ish layout using this year’s blocks in a straight setting with no sashing or borders, using the lotto blocks to build 21-inch square modules. Because of the modular approach and the modern look of our geometric blocks this year, I’m calling this effort the Mod-Mod Quilt-along. Each month, mid-month, I’ll tell you how many of the current month’s block you’ll need to make each of the above quilt sizes and where they will appear in your quilt. The Crib size quilt include 2 Double Chevron blocks, in the 6-module layout on the left. In the square Throw, three modules are added to the layout and one more Double Chevron block for a total of 3 needed for this quilt. 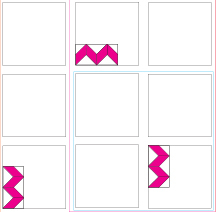 As you can probably see, these modules (and quilt layouts) are nested. The smallest size becomes part of the crib size, which is part of the throw, which is part of the twin size. This means you can start small and decide to make a bigger quilt or … start out super ambitious and decide to make a smaller one. For the Twin size, you’ll need 4 Double Chevron blocks. Here’s where they will be in that quilt, constructed from 12 modules. You’ll need 2 more Double Chevrons–a total of 6–for the Full/Queen quilt. Here are the 16 modules for that quilt. And for the super-ambitious, make 8 Double Chevron blocks. Here’s the 25 modules for that 105-inch square quilt. This help post will step you through how you add a badge to your blog, if you need a reminder. This badge links to the home page of the Block Lotto. 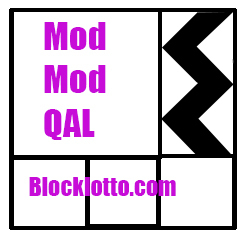 Depending on interest, I’ll set something up for the Mod-Mod Quilt-Along. If you are making this sampler or one of your own design and want to share your procress/progress here, please use the category my sampler. SOPHIE this is an absolute fantastic idea. YOU MAKE IT ALL SO EASY FOR US! I have adored every quilt I’ve seen of yours! Can’t wait to see where this one leads us all! Dang it! I promised myself I wouldn’t start a new project until I finished some of the half done ones completed. But, soooo tempting. Looks so nice and easy. This is incredible. Sophie, you are truly a woman of vision! I’ve been thinking this over for a couple of days. I like the concept, just trying to think about the time! I want to play. I plan to do a throw size for my son and his wife. They are very modern, don’t like pastels or primaries, so I have selected some light, medium and dark blues and greys to go along with a white background. Depending on what challenges Sophie throws us, there could be an accent color thrown in at some point (a gold or yellow, maybe). I’ll post my colors when I get a chance. Given Sophie’s guidance on “value” I’ve assumed that I do need some variation between dark, medium, light. Yay! As far as fabric choices, it IS your quilt and I’m sure whatever you choose is going to work. FWIW, I started out thinking I would use mostly shades of gray, but I’m not sure how long my resolve will last. First some purples and pinkish fabrics showed up in my collected stack of possibles, then some aquas and now I’m thinking it might need some yellow. If you think any of the blocks won’t suit your son’s taste, you can always substitute another from this year (or your own imagination) that is the same size). I’m sure you’re going to make a great quilt. 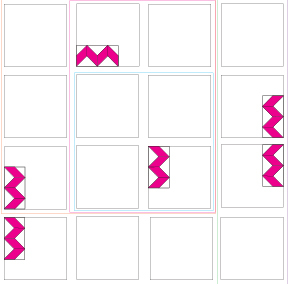 I tried to copy the quilt along thumbnail, and actually found the location on my site to do so (I am on blogger), but I got a message that it had “illegal characters” I tried it both with the lead http:// and with deleting the lead, but got the same message. I believe I copied the full character list from the box above. But it was fun to play with the “add a gadget features, so I learned something! by the way, I’ve been thinking of writing an article, either for our Guild’s newsletter or to submit to a publication, about internet quilting resources, kind of to give an introduction to people who haven’t used the internet to find patterns, friendship groups, blogs, etc., plus historical quilting websites as well as commercial sites (moda, hancock, etc.) Have you seen anything like that? I wouldn’t wamt tp duplicate something already out there. Hi Sophie , I have decided to do the Queen size quilt but, I need advice regarding colours. I purchased 10 inch WOF strips of marbled Batik in 15 bright tones and a yard of TOT white. 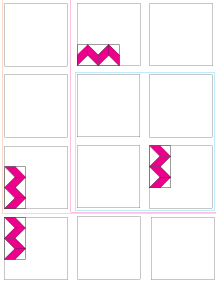 with my birthday cash gifts…what I’d like advice on is, should I make all my Chevrons the same colour to unify or get wild and make everyone a different colour…Colour doesn’t scare me but, since I don’t know where I am going I’d like your input. Hope you can help? Please do Have a Loving Day tomorrow with lots of calm relaxing moments…give those kitties a cuddle from me!!! !